Shelley would like to acknowledge the wonderful, hard working stock artists who provide fantastic photos for her to use as pose references. Such resources greatly help with realistic body positions, spatial relationships and anatomy. 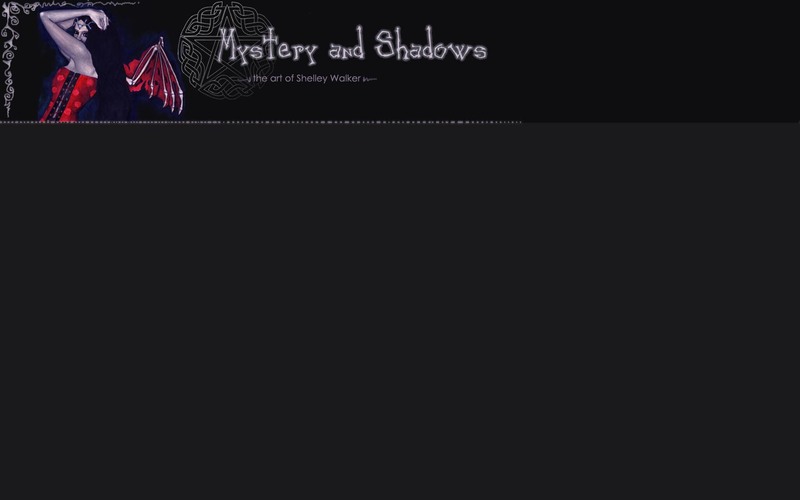 For those interested in linking to Mystery and Shadows, or a link exchange, please 'right click' and save one of the banners below, place it on your website with a link back to Mystery and Shadows. Let us know about it via email, so we can have a look and perhaps place your link here. 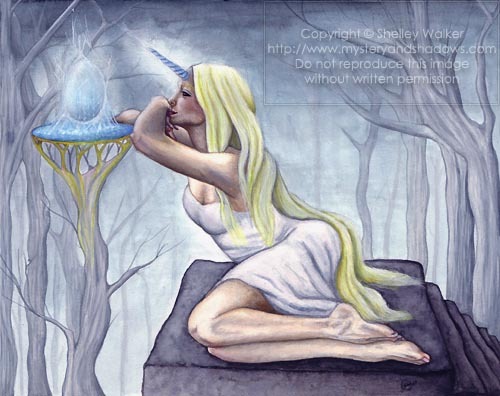 The egg of the unicorn girl is born of pure imagination, fertilised by inspiration. Who knows what will hatch from within? The best thing since sliced bread perhaps, or the next Sistine Chapel. Sometimes, when the inspiration came from a place of pure love, another unicorn girl is born. Thanks very much to the lovely Hanratty for the reference photo used for this piece.